Classes are always subject to availability but at Dragonfly Yoga we will always do our best to accommodate you in your chosen class. * Cancellations within 12 hours will not be refunded. * Cancellations prior to 12 hours will receive a credit towards a future class based on availability and similar cost. * Privacy & Security Policy Commitment to Data Security Your personally identifiable information is kept secure. Only authorized employees, agents and contractors (who have agreed to keep information secure and confidential) have access to this information. All emails and newsletters from our sites allow you to opt out of further mailings. Dragonfly Yoga Studio will never sell trade, rent, exchange or otherwise share your personal information with any other person, company or organization. Out of consideration for the Teachers and other members, and also for your own safety (the warm-up is an important aspect of each class) please be aware that if you are more than 5 minutes late for a class, you may not be able to practice. Any booked sessions must be cancelled within 12 hours, in person or online. In any other case, the session will be charged and deducted from the remainder of the Client’s course. The Introductory pass expires in 30 days and starts from the date the first class is taken. The 5 Class Pack expires in 60 days and starts from the date the first class is taken. This is non extendable, except when a doctor's note is shown. In these terms and conditions, the following definitions apply: “Services” means any information and services ordered and/or provided by Dragonfly Yoga Studio through or via the Site or our studios and all services offered as part of any course or workshop. Any electronic information supplied to you by Dragonfly Yoga Studio will constitute part of “Service” not a Product and cancellation rights will apply accordingly. “Products” means any products offered for sale on the Site or in a Dragonfly Yoga studio. “Site” means the web site at the URL www.dragonfly-yoga.org or replacement site(s) from time to time. Use of this Site Generally “Dragonfly Yoga Studio” is the trading name of Gmax Trackstars Ltd As such all reference to Dragonfly Yoga Studio includes Gmax Trackstars Ltd. The intellectual property rights in all contents of the Site and supplied as part of the Products or Services, and in the Gmax Trackstars Ltd trademarks and logos (“Materials”) are owned by Gmax Trackstars Ltd. Except to the extent expressly set out in these terms and conditions, you are not allowed to make any copies of any part of any Materials, or remove or change anything on the Site, include or create links to or from the Site without our written authority, or remove or change any copyright, trade mark or other intellectual property right notices contained in any Materials or copies thereof. ” The Yoga Lounge” is a registered trade mark or application for a registered trademarks owned by Gmax Trackstars Ltd. You must not use the Gmax Trackstars Ltd brand, logos or marks without written licence. You must not use the Site to post, upload or otherwise transmit material which is obscene or pornographic, threatening, menacing, racist, offensive, defamatory, infringing of any intellectual property or otherwise unlawful, to harass, stalk, threaten or otherwise violate the rights of others, to misrepresent your identity or status, to hack into this Site or any other related computer system, to make excessive traffic demands, deliver viruses or forward chain letters or similar materials that may reasonably be expected to inhibit other users from using and enjoying the Site or any other web site or damage or destroy the reputation of Gmax Trackstars Ltd.
Gmax Trackstars Ltd accepts no obligation to monitor the use of the Site. However, Gmax Trackstars Ltd reserves the right to disclose any information as required by law and/or to remove, refuse to post or to edit any information or materials, to block your access and to take such other action as may be reasonably necessary to prevent any breach of these terms and conditions or any breach of applicable law or regulation. Gmax Trackstars Ltd will also in its absolute discretion fully co-operate with law enforcement and other relevant authorities with respect to any investigation of suspected unlawful activity or violation of network security. You should refresh your browser each time you visit the Site to ensure that you download the most up to date version of the Site as we may change the site from time to time. and “as available” basis. On that basis, except as expressly set out in these terms, Gmax Trackstars Ltd does not enter into conditions, warranties or other terms in relation to the Site or the Products or the Services (including any implied term relating to quality, fitness for a particular purpose) or any guaranteed or predicted result. The Site may include links to external sites and co-branded pages. Gmax Trackstars Ltd has included links to these sites and co-branded pages to provide you with access to information and services that you may find useful or interesting, However, Gmax Trackstars Ltd is not responsible for the content of these site and pages or for anything provided by them. Subject to the important liability statement, Gmax Trackstars Ltd is not liable for failure to comply with these terms and conditions due to any event beyond its reasonable control, including, without limitation, the input of incorrect information by you. Gmax Trackstars Ltd may suspend the operation of the Site for repair or maintenance work or in order to update or upgrade the contents or functionality of the Site from time to time. Access to or use of the Site or any Sites or pages linked to it will be not necessarily be uninterrupted or error free. Gmax Trackstars Ltd may terminate the Service immediately in the event you breach any of these terms and conditions or do not pay any sums due to Gmax Trackstars Ltd (including if the credit/debit card you use is not valid or does not work for another reason). Information displayed on the Site or in our studio as to pricing and availability is subject to change by Gmax Trackstars Ltd without notice. Class size is limited and Dragonfly Yoga Studio operates a “first come first served” booking policy. However, for the busy evening classes the Studios offer online reservations for Members who hold current class packs. 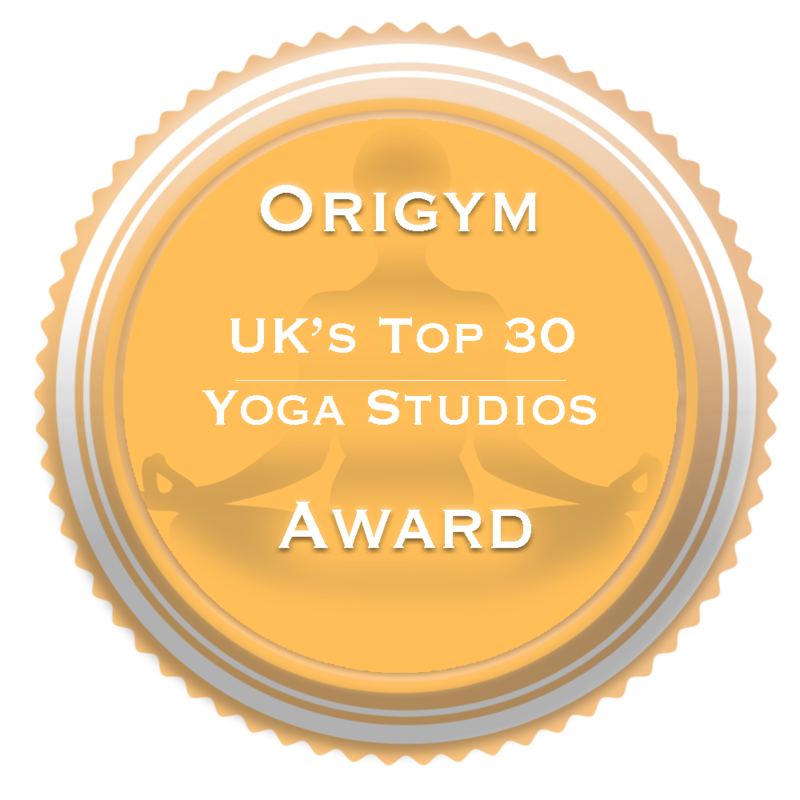 For more information on Terms and Conditions, email info@dragonfly-yoga.or or call 0208 090 2311.